Peking University files patent for blockchain applied to DNS. Peking University Shenzhen Graduate School has filed a U.S. patent application (pdf) for “Systems and Methods for Managing Top-Level Domain Names Using Consortium Blockchain”. The application admits that the current domain name system is efficient but argues that it has flaws. It states that root servers in Asia are shared by many more internet users than those in North America, leading to slower domain name resolution speed. The present disclosure has the following beneficial effects: the present disclosure is different from the DNS in that the internet DNS at all levels are centrally managed; the present disclosure is a Top-level domain name management scheme based on blockchain technology. The present disclosure decentralizes in selecting top-level domain managers (TLD nodes) and Top-level domain registrations—none of the TLD nodes in a consortium or a small group can control the entire management process. The present disclosure separates the domain name system into two layers, each corresponding to a sub-domain name system, and how the sub-domain name system is designed is determined by the holder of the Top-level domain name. Therefore, the sub-domain name system can be designed as either centralized system or decentralized system according to the institutions’ wishes. In addition, since the information on blockchain is public and immutable, trusted agencies and even individuals can access information on blockchain and build a corresponding seed file database to store the mapping relations between the top-level and sub-domain name system. This means that all regions can set up a corresponding number of domain name servers according to their actual need in order to ensure the speed of internet access without being limited by other institutions. It seems that there are better ways to improve DNS than applying blockchain to it, but I’m certainly open to the concept. Auction will show the investor appetite for crypto domains. It’s a bit surprising that no other major marketplace has held a similar auction given that this market has driven the domain market over the past year. Since the beginning of 2017, Sedo has recorded $1.7 million in sales of names containing crypto and blockchain terms. That undercounts the overall impact significantly. Crypto and blockchain companies are also buying generic and short domains that lack these keywords. For example, many are buying three letter domain names that end in “x”, standing for exchange. Sellers can submit domain names for free if they meet the qualifications. Details are here. Companies bought country code domains plus many good .com names. 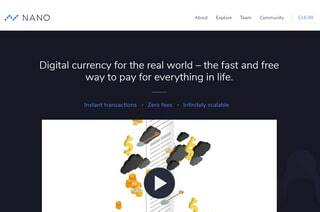 RaiBlocks rebranded as Nano and bought Nano.org for £10,000. Sedo had a good sales week with some notable sales in country code domains. Its top reported sale was CarStore.com at $82,500, but that domain is still in escrow. There are lots of businesses with this name so I’m not able to pin down the buyer. I’m also curious who bought Live.us for $26,000. That’s among the top ten .us domain sales publicly reported according to Namebio.com. There was another good .us sale with Care.us at $12,000. 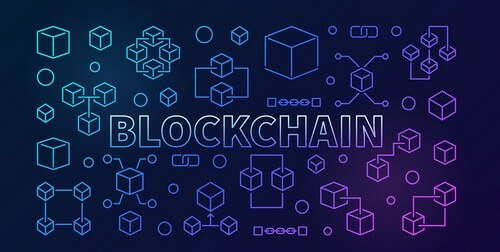 Blockchain and cryto companies continue to buy domain names but not necessarily with coin, crypto or blockchain in the domains. Check out names like Read.io and Nano.org, both bought be companies in the space.